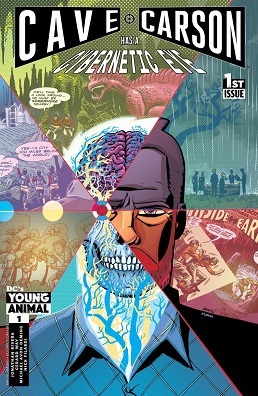 Cave Carson Has a Cybernetic Eye #1 - "Going Underground"
'Takio' was an all-ages graphic novel that Brian Michael Bendis wrote in 2011. 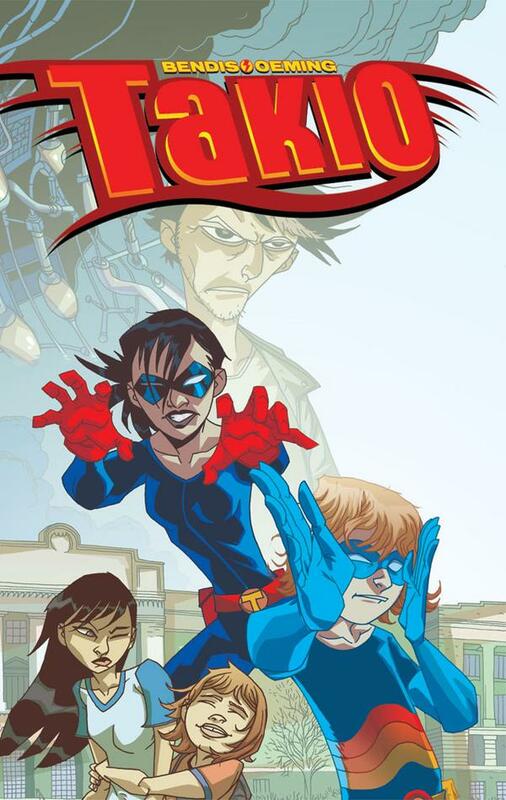 It's about two sisters in an adoptive family that become superheroes. With a new ongoing series based on it that just started, I figured I'd post the beginning of the original as opposed to picking and choosing throughout the entire story. So hopefully if you like it you'll check out the full thing. HULK SMASH AVENGERS is a miniseries that shows the Hulk fighting the Avengers at various point in Marvel history. The final issue has the Red Hulk fighting the post-Civil War Mighty Avengers while Tony Stark and Bruce Banner talk things over. My bookshelves are groaning. My wallet is empty. To that end, I'm on bookstrike, having sworn off buying books for the month of January. I've got into the habit of having a grumpy day and just giving Amazon money to make myself feel better. The last example of bibliotherapy that the postman delivered was Dark Avengers: Ares, a volume that collects the 5 part Oeming series where Ares has to save his son and the Greek pantheon from Mikaboshi and the 3 part Gillen series where Norman Osborn puts Ares in charge of training H.A.M.M.E.R. troops. One more, as I will reach my page limit for this title and issue. This is how you end on a high note. The Greek God of War has fallen. CosmicBookNews has his continuing story, as the afterlife is besieged by the Chaos King. To complement stubbleupdate's Ares minipost here's an Ares megapost, from the miniseries that kicked-off the character's modern-age revival. More info on Marvel's next big event under the cut along with three scans.